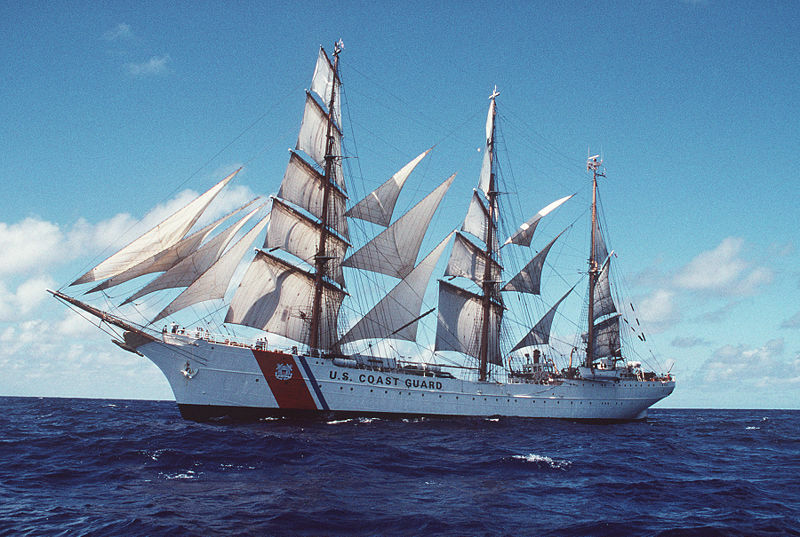 The U.S. Coast Guard Cutter Eagle is scheduled to arrive in Bermuda at 10am on Saturday [June 29] as part of its 2013 cadet summer training deployment. The ship will be moored in Hamilton. Currently there are 24 upper class cadets from the Coast Guard Academy, 83 cadets who just completed their freshman year, seven midshipmen from the U.S. Naval Academy, and six U.S. Sea Cadets. The summer deployment spans 13 weeks, stopping at nine port calls in five countries, with four different groups of cadets training on board. A permanent crew of seven officers and 50 enlisted personnel maintain the ship and guide the cadets through an underway and in-port training schedule, dedicated to learning the skills of navigation, damage control, watch-standing, engineering and deck seamanship. The Eagle will give free public tours on the following dates/times. The minimum age for children is 10.